Huge changes have been going on, in the jewelry business world. I closed down my old business & re-opened a new one! I wanted to take a different approach then the last one and offer super affordable jewelry, that is modern/sleek & with the current trends. I'm inviting everyone to come take a look around, hopefully you find something you adore. It's a goal to add new jewelry gifts daily, I have a large shop to fill and will work on having it all ready in time for Mother's Day! 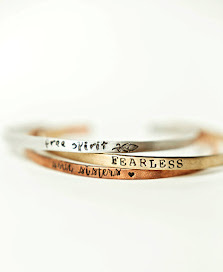 These gifts make the perfect Mother's Day gifts, personalized and super affordable. Be sure to bookmark or save my site for future ideas. 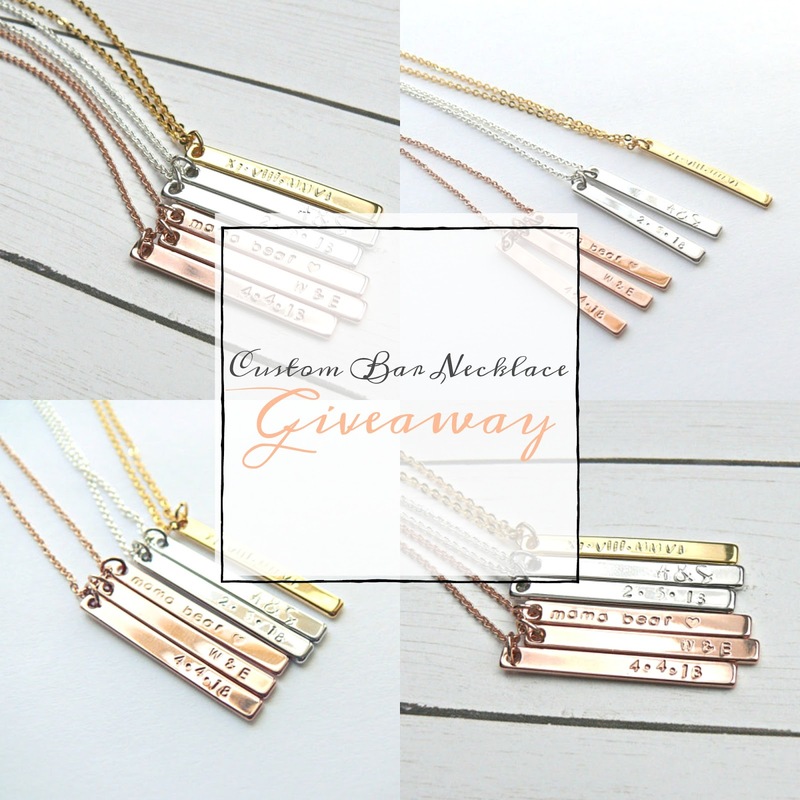 Celebrating this new adventure with a lovely giveaway, one of my new styles for a hand stamped personalized modern bar necklace. Winner, will get 1 bar to personalize. Winner will get to choose the metal choice, from: Silver, Gold & Rose Gold. Winner will get to personalize however they wish, up to 15 letters on the bar. This is open to all USA residents. Winner gets 24 hours to respond to my winning email, then passes to the next person. I use a simply and easy generator that uses a point system for every task. The more tasks you complete the better chance you have at winning. I do check all entries to make sure they were done, so its fair and well deserved. I wish you all luck, have fun and I hope to do future business with you. I love rose gold jewelry. I tend to like stamped, small pendant, or long hanging necklaces. I also like pearls! I love the rose gold pine cones! These necklaces are really pretty! I like simple jewelry, small pieces, and actually like to mix metals silver, gold, rose gold for a different look. I like simple jewelry, nothing to big.